Choose from one of the original koozies that started it all. Custom Foam Koozies will keep your drink colder and will last longer than any of our other koozies. With extra durability, Foam Koozies, are a product you can count on! 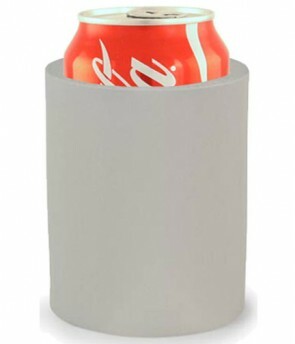 Explore our diverse selection of Foam Koozies, including the Indestructible Foam Can Hugger Koozy, which as name suggests, is a pretty tough cookie, that can withstand pretty much anything! Foam Koozies also make a great base for Custom Design! Utilize our fun and easy Online Designer Tool to create the Koozie of your dreams! Choose from our collection of templates or create your own masterpiece! Get started now!